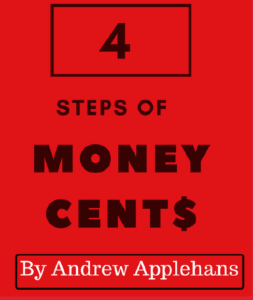 Inspired by his aunt Keri Stark’s involvement in Bank On North Idaho, 12-year old Andrew Applehans recently created a poster about money management to share with other kids, and to satisfy a Boy Scout Merit Badge requirement involving community service. Think about what you might want to buy. I like to work with wood, tools, and build things. I started to build a Lemonade stand. Before I started I needed to buy some materials, so I got them, and later got close to finishing it. Think about the skills you have and ways you can earn money using that skill such as selling lemonade, building, baking, mowing lawns, extra chores around the house, etc. I was given an old projector. I fixed it up with my dad and sold it. I think that was a good way to earn money. Some things are worth waiting for that can be cheaper other places. You can separate wants from needs. I’d like an RC car but I need gas/parts for the lawn mower that I use to earn money. I put some of my money in a box for safe keeping. When I get paid a lot of money I put a percentage of money in my checking account and my savings account for long term goals. Example: short term RC car, long term college. If you want things to be a little bit cheaper look at yard sales, garage sales, Craigslist and so on. We recently went to Disneyland. I waited to buy a souvenir and went to Walmart and got the same thing that I could have gotten at the park and saved more than twice the price. It’s never too early to have a plan and start saving. If you sent good habits you could achieve your goals because you have control of your money. I hope these tips help you.